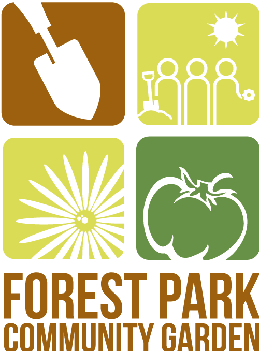 St Patrick's Day Parade Saturday March 2nd- Once again, we'll be marching in Forest Park's St. Patrick's Day parade and we'll be handing out 2,000 packets of swiss chard seeds! The parade is always so much fun and people look forward to receiving our seed packets every year. We need volunteers to walk in the parade and give out seed packets. Please email us if you want to participate. Garden Plot Sign Ups Start Soon- During February we will be contacting existing gardeners to renew their plots for 2019. Then we will offer open plots to new gardeners / people on the wait list. If you are interested in getting a plot for 2019 please email us. Apple Pie Contest is Back!- This year we are planning an apple pie contest fundraiser for sometime in September. So pull your aprons out of storage and sttart thinking about pie recopies!